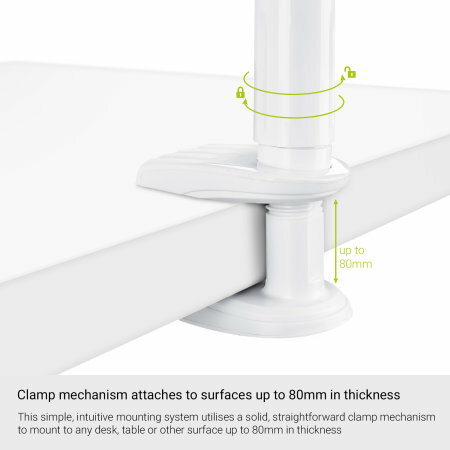 Consisting of a 1m extra long holder and clip-on mounting clamp, the Olixar LongArm can be attached to any surface with a thickness up to 80mm - including desks, beds, tables, kitchen worktops and more. Get the ideal view of your device no matter what. The arm is a great length for getting the phone into the right position, not flimsy but easy to maneuver. The clamp works well, I open my bedside drawer slightly and clamp it that way (as dont have a table next to bed or a shelf). Great product, just like description. Very useful. Would love a light on it to make it a document viewer and more versatile for the classroom but it does what the description states. 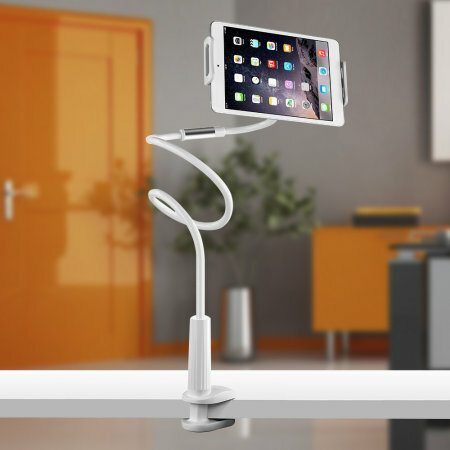 There are so many reasons why you might want a hands-free smartphone or tablet solution around a desk, bed, worktop or table. Maybe you're cooking and need to check up on a recipe. Perhaps you're doing DIY and need to have your phone handy for calls or messages. 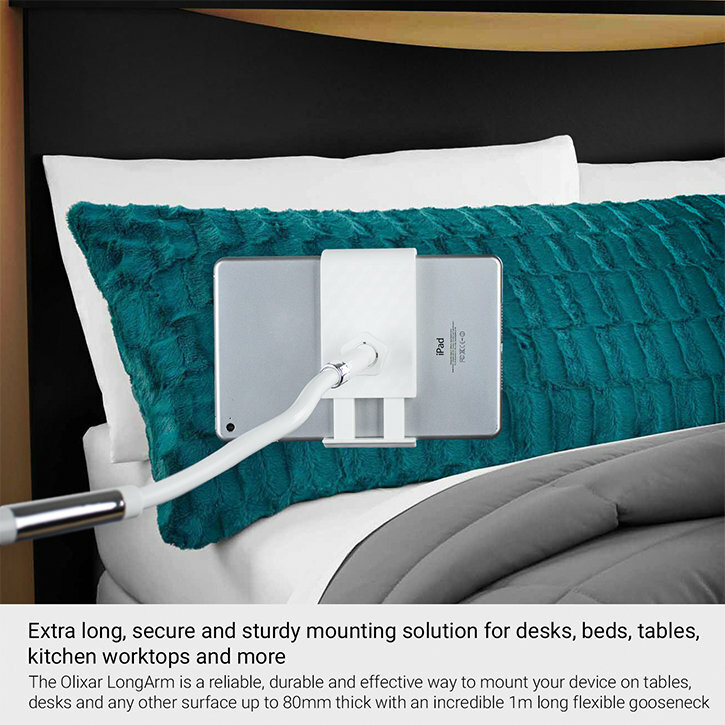 You could just need a mount for media viewing in bed or video calling friends and family. The Olixar LongArm is a reliable, durable and effective way to mount your device on tables, desks and any other surface up to 80mm thick. With an incredible 1m long flexible gooseneck (you might even call it a swan neck) that can be posed in anyway where ordinary holders cannot reach, the LongArm is the ultimate tablet and smartphone holder for any situation. 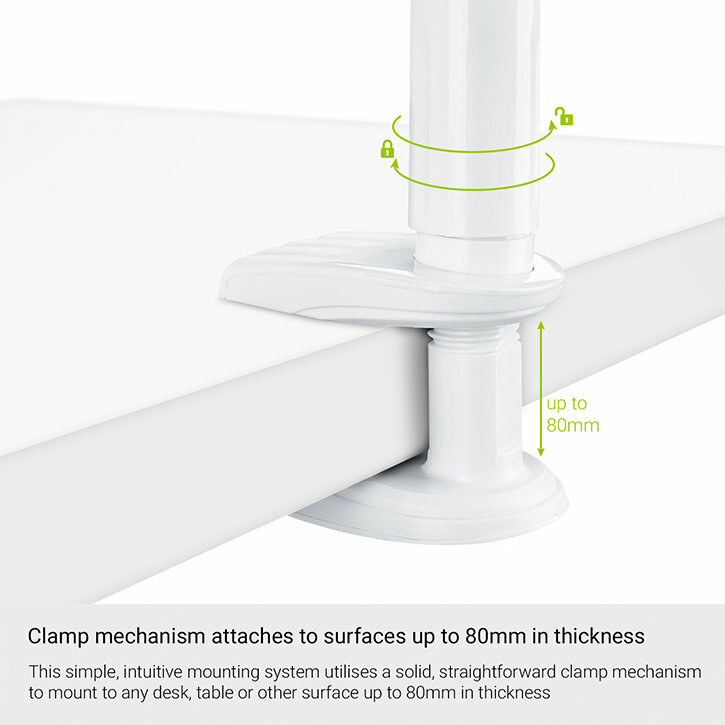 This simple, intuitive mounting system utilises a solid, straightforward clamp mechanism to mount to any desk, table or other surface up to 80mm in thickness. 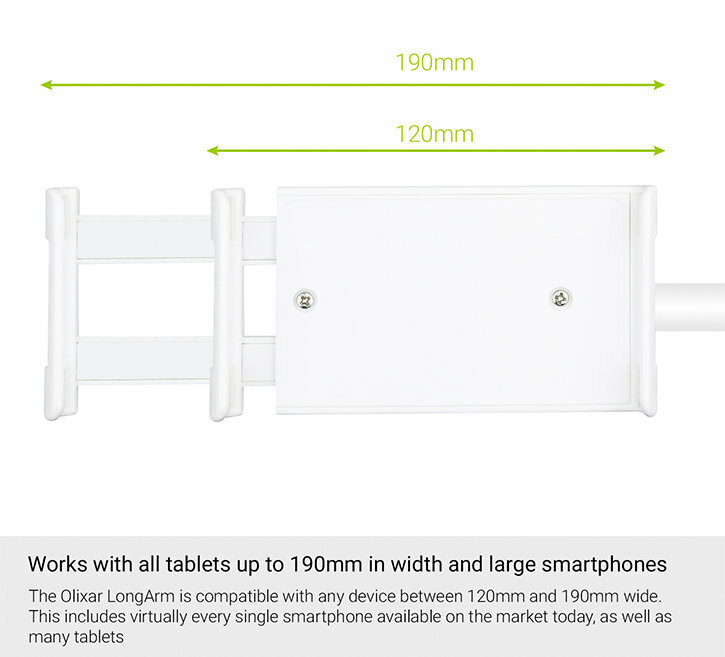 This easily accommodates most tables, beds frmaes, office desks, countertops, kitched worktops and more - meaning wherever you are and whatever you need to do with your tablet or smartphone, you can take advantage of the LongArms's incredible functionality. 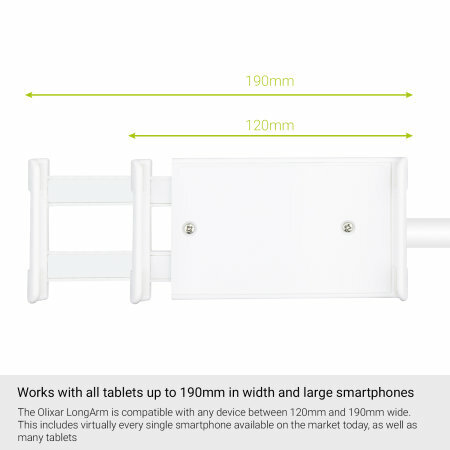 The Olixar LongArm is compatible with any device between 120mm and 190mm wide (or long in terms of phones). This includes virtually every single smartphone available on the market today, as well as many tablets - including the iPad Pro 10.5 and Samsung Galaxy Tab S3. Most smartphones will have to go into the holder longways but there's apertures for cables to run through if you need to charge or sync at the same time. Please check measurements of your device. 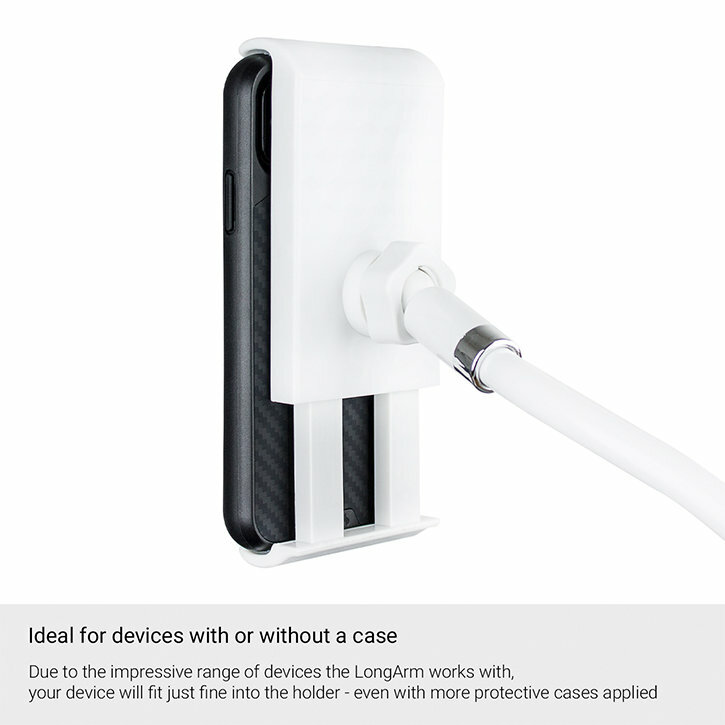 Due to the impressive range of devices the LongArm works with, your device will fit just fine into the holder - even with more protective cases applied. 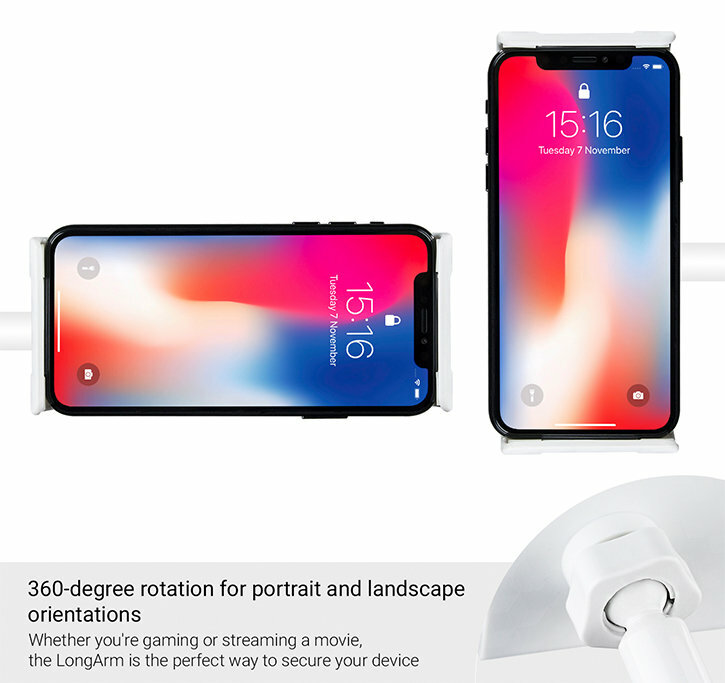 Whether you're gaming or streaming a movie, the LongArm is the perfect way to secure your device. 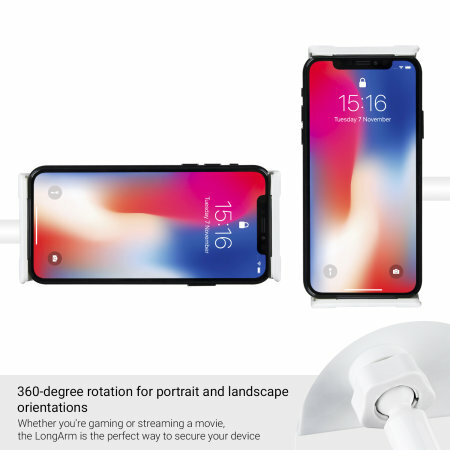 The holder is fully capable of rotation across 360 degrees, ensuring both portrait and landscape orientations are possible - as well as any other angle you may desire. 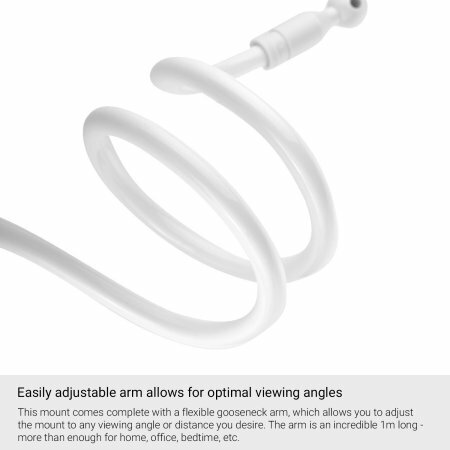 This mount comes complete with a flexible gooseneck arm, which allows you to adjust the mount to any viewing angle or distance you desire. 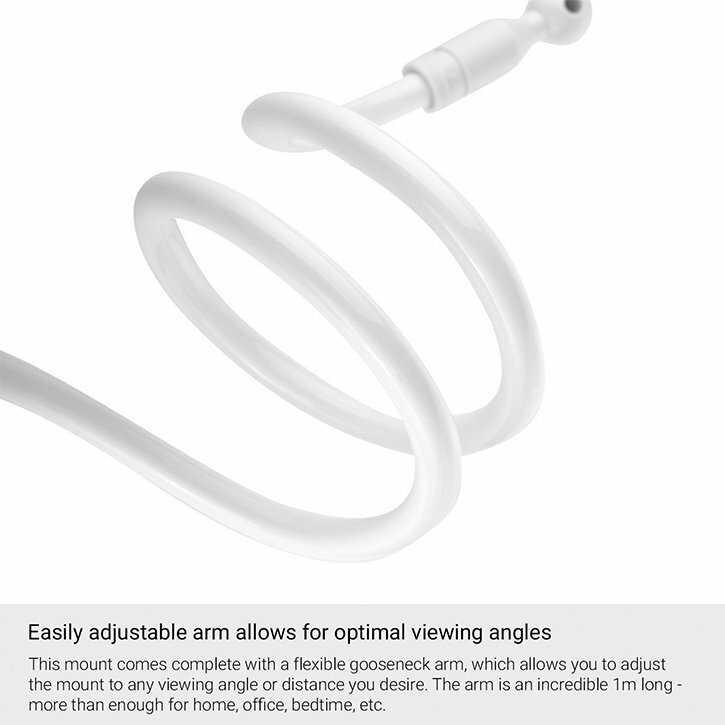 The arm is an incredible 1m long - more than enough for home, office, bedtime, industrial and commercial use and everything in between. 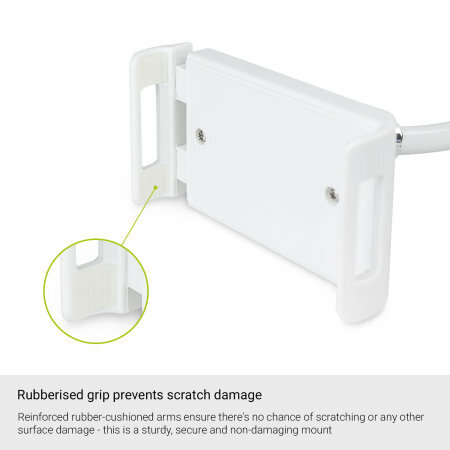 You'll never need to worry about your device incurring any damage whilst in the LongArm. 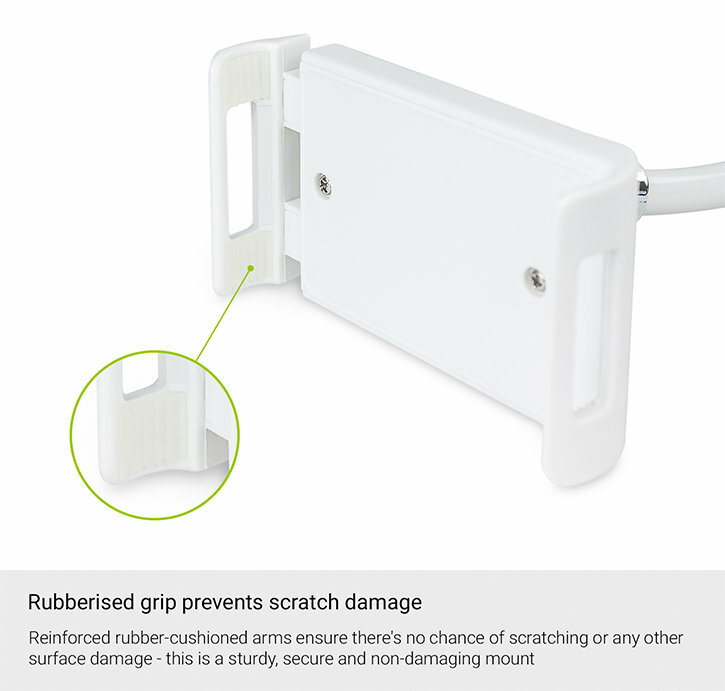 Reinforced rubber-cushioned arms ensure there's no chance of scratching or any other surface damage - this is a sturdy, secure and non-damaging mount.